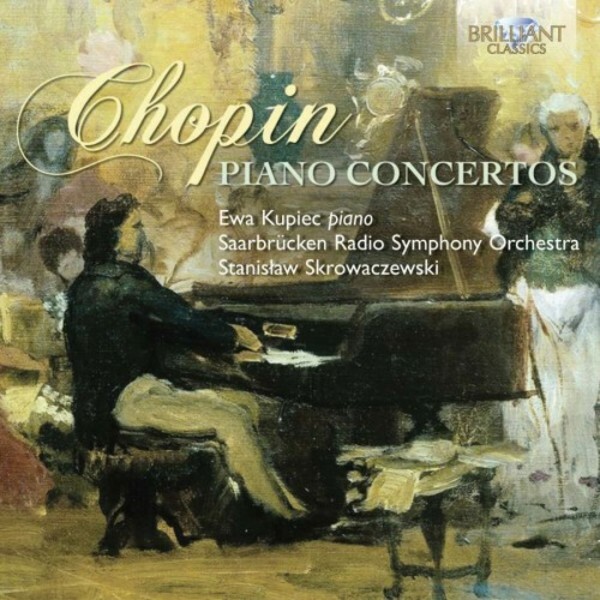 Chopin’s ever popular piano concertos played and conducted by two Poles: pianist Ewa Kupiec and conductor Stanislav Skrowaczewski. The Polish element in Chopin’s concertos is best evident in their third movements: characteristics of the Polish national dances, Mazurka and Polonaise abound in these brilliant finales. Both concertos enjoy universal and wide popularity, and count among the most frequently played concertos of the entire repertoire. “Infinitely nuanced, performance: 9” writes Classicstoday.com about soloist Ewa Kupiec, and conductor Stanislaw Skrowaczewski receives special mention for his excellent and serious treatment of the orchestral score, which in other performances might be treated as minor accompaniment: “Unfailingly supportive, vibrant and alive” (Classicstoday.com).